I have not written for a while because a month ago I received news that my good friend Angela, wife to Chris Faddis and mother of two young children, was told she would only have a week to a month left to live because her stage-four colon cancer was no longer manageable. This past Friday, she passed away. I sat down today to write about my beautiful friend and these are the words that came to me as I remember her. “Do you live in Arizona? My friend wants to move there. Do you have any roommate suggestions for her?” inquired Gene from Apex Ministries upon meeting me at a Steubenville conference nine years ago. “Actually, my friend Melanie H. needs a roommate,” I responded. “Great, I will go get my friend, so you two can swap numbers,” he said as he was walking toward the exit. A few hours went by and Gene found me again at the conference and introduced me to his friend— Angela. I suggested to Melanie that she should be open to living with this total stranger based on the few minutes I spent with her. Angela moved to town on her birthday, October 1, 2003. 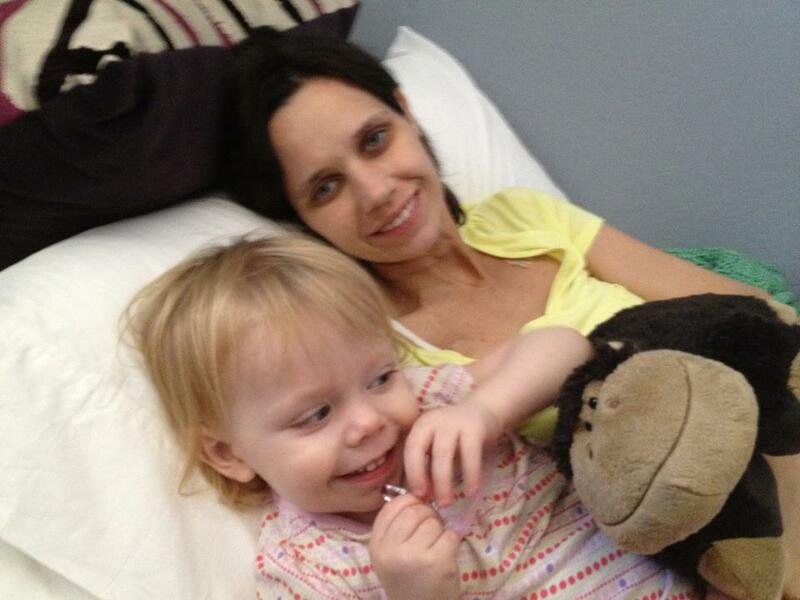 On August 26, 2012 just nine years later, I sat by Angela’s bedside re-painting her nails her favorite hot pink color. A few weeks prior, I brought a reddish color nail polish to Angela’s hospital room. Melanie Hart and I went to be with her and Melanie volunteered to give her a pedicure while I painted her nails as she laid in her hospital bed. This visit came just a day after the doctors told her there is nothing more they could do for her cancer. When I brought out the reddish color from my bag, she said “Melanie, that color is so old-lady. Don’t you have any hip, in-style colors?” I responded in such disagreement, “I thought my color was pretty hip.” She gave me this look like, “Come on, really?.” Melanie piped in and took Angela’s side. We all laughed because that was us…that was our relationship…blatantly honest knowing we could say just about anything and the other wasn’t going to take offense. That honesty only increased as I walked this past year and a half with her to her death. We finished painting her nails and a few hours passed, and Angela revealed her innermost fears to us about her children not having their mother. We held each other tight, crying tears of sadness, and Mel and I assured her that we would love them and take care of them, and that all of our children would grow up as if they were brothers and sisters. We assured her that God was in the details, and we spoke about Heaven and what it would be like. It was the hardest and most emotional conversation I have ever encountered with a friend. It was surreal. We could talk to her about Heaven because it is how our relationship began. The night she moved to Arizona into Melanie’s house we had a Bible study planned and instead of canceling because the “new girl” was arriving, we just invited her to participate, not knowing anything about her faith. We figured it would be better to just “baptize her by fire” and make her jump right into knowing who we are…Christ-centered-women. 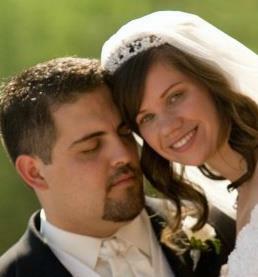 It’s ironic to think how much she has taught us about faith in the Lord in the past nine years! 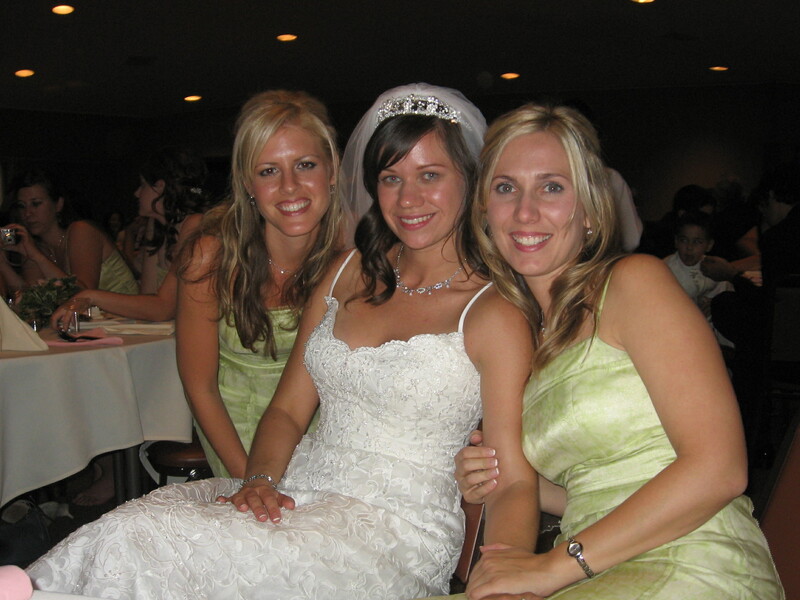 Melanie Hart, Angela and I at her wedding six years ago. Melanie and I visiting Ang when we painted her nails the reddish color! When I would visit Angela, whether it be at the hospital or her home, I would record our conversations so that one day I could give them to her children. They will hear how much she loved them, her husband, her faith and her life. Over the past months, I have recorded many profound and beautiful insights. Listening to those recordings is how I find the most comfort now that my dear friend has passed away. It was on one of the recordings that I captured her final goodbye to me. On that morning of August 26th, Angela’s husband Chris said he felt as though she was not going to make it much longer as she was showing signs of death. Sarah and I had already planned a visit that day, and I knew what I had to do! I entered her room, sat down and asked her how she was doing. A few minutes into the conversation, I said, “Do you want me to change your nail-polish to hot-pink?” I could not let my friend die in a color she didn’t delight in! She perked up. I could tell she was happy that I asked. “Yes, that would be great!” she replied. I was amazed to see that although she was so close to death, she still cared about the little things, like the color of her nails. Angela was never afraid to be herself or share her likes and dislikes. In her mind, even at that critical time, she was still living. She wasn’t planning what color nails she wanted to be buried with, she was thinking, “What color nails do I want this day that I am alive and able to enjoy them.” I loved being able to serve her in that silly way of painting her nails because it allowed me to be close to her, to feel normal with her for just a few minutes, and to show her that I was in this with her. I wanted to paint forever. There were many people waiting to see her that day, and I wanted to have more to do so I could spend more time with her talking. Painting came to the end, and I said “It looks like the house is getting crowded. So many people are downstairs waiting to spend time with you.” Then I got serious, looked into her eyes while placing my hand on her arm and said, “You are beautiful my friend; I treasure you.” In her normal, soft, calm voice she replied, “Gosh, I don’t even know what I am supposed to say; I feel like this is supposed to my last words to everyone.” My heart sank hearing her say those words knowing shortly we would not be able to speak again on this earth. She went on to say, “I’m glad we met because you changed my life.” I replied, “And you changed mine.” Not knowing what more to say and not wanting her to feel like this was it– even though I knew this was it, I spoke up and said, “You don’t need to say last words; we will always be in each other’s lives forever.” She knew I meant “even from heaven” even though I didn’t say it. Then I tried to crack a joke, “I’ll probably come every day and then you will have to keep giving me last words and that will start to get awkward.” Angela, Sarah and I laughed big needing to break from the seriousness of it all. Angela’s son Gus and my daughter Ella came in and interrupted us with their play. This felt like old times. I don’t think we have had a conversation since we gave birth that didn’t revolve around children interrupting. A ten minute conversation could take an hour to get through sometimes. But, we wouldn’t have it any other way. We loved the kids playing. We treated each other’s children as if they were our own family. The children were loud, but I continued to speak to her, “God’s in the details. We will all support and love each other.” I meant when she was gone, but again, I couldn’t say the words. She knew what I meant. Ang said, “I am so amazed that even when times I questioned ‘Why has this happened to me?,’ one thing I have always trusted and known is that God would put the right people in my life at the right time, and He has. 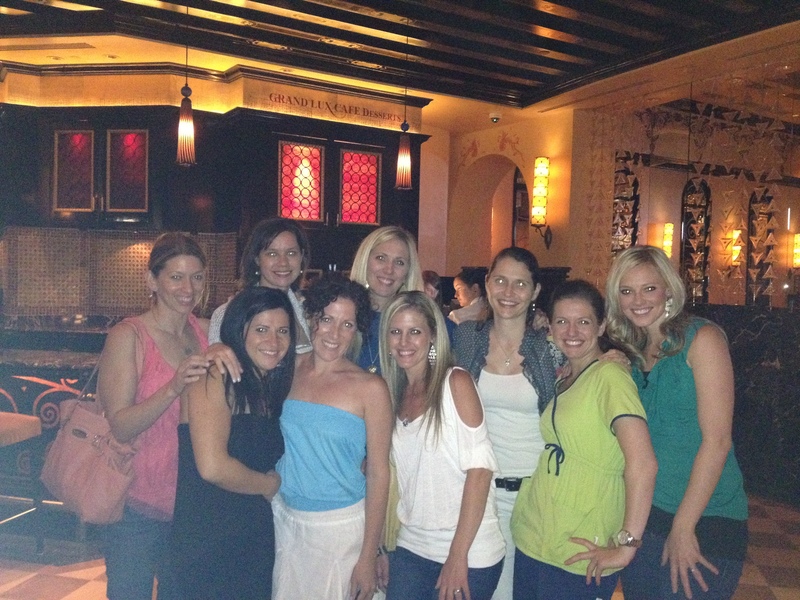 He put all of you beautiful girls here for me in Arizona. Our goodbye wasn’t something you would see in a movie or written in a Hallmark card. It was friends hanging out as usual having unscripted conversation. We said all that was needed to be said because we both knew how we felt about each other. I saw Angela a few more times after that, but she was no longer capable of having that kind of long conversation. From then on, she slept most of the time and said very few things. I sat by her bedside and prayed on September 19th, just two days before she died. I tried to communicate with her and she did raise an eyebrow to me which seemed in and of its self to be a struggle. It was hard to see her in that condition. She was far worse than any other time I had been there. I knew it would not be long. My heart hurt as I sat with Angela, so I texted Melanie to share my sadness with her. Chris came in and my heart bled for him and all that he has endured. I could see the weight of it all on his face. I told him that God chose him because God knew he was the perfect man to walk with her on this journey to death. No one could care for her better. I sat there in awe of the love I was witnessing between them thinking of those lines in the marriage vows, “I will love you and honor you all the days of my life…till death do us part.” The moment reminded me of the old saying “Marriage is like writing a blank check; you never know how much it will cost you.” For Chris and Angela it cost them the greatest of sacrifices. Two days later Chris called me to tell me Angela had passed away and although we had all prepared for this and even said our goodbyes, it was heart-wrenching to hear that I would never see my friend again. Chris shared that their children Gianna and Gus came in and kissed her before she took her final breath, and she died the day before her son’s birthday. That is so like Angela! She loved her children more than anything. She was a mother till the end. Waiting for their soft lips to touch her cheek and leaving before her son’s birthday so his birthday could be about him and not cancer. She was my quiet, calm friend whose soul became loud as she allowed many across the world to share in her suffering and her incredible faith. I’m proud to have been her friend. I’m grateful God designed it to be that way! God knew…He calculated this all from the beginning for His greater glory…whatever that may be. Something big! I am sure of it! Her story and her faith have already touched so many around the world leading many to Christ. If you want to hear more of her story and the impact of her life and death, go to http://www.AngelaFaddis.com. Until we meet again…my sister in Christ! Thank you for the example you have set for all of us on how to die with dignity and an undying trust in the Lord. Special Note: Thank you my blog readers! 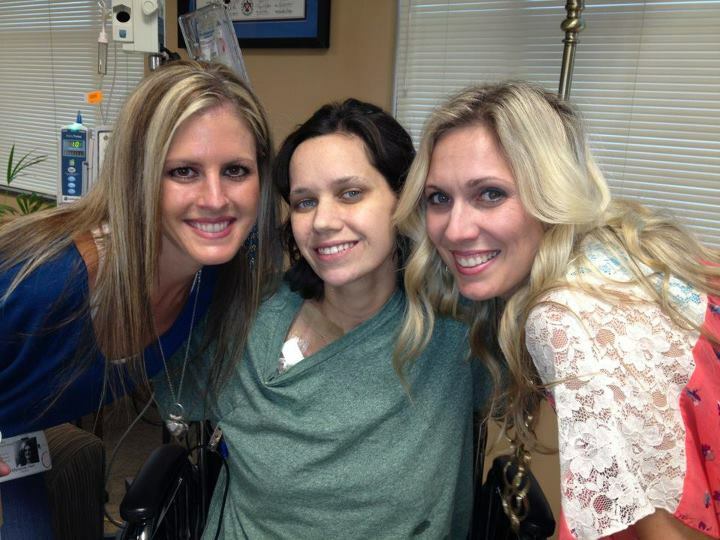 I know many of you have kept up with Angela’s story and have been praying for her. I am so grateful! Chris Faddis posted this a few days before Angela passed away. He included this picture where Angela has on her pink nail-polish. It is a beautiful piece of writing and insight. I wanted to share it with you all. As if I could keep you longer, I placed this ring back on your finger today – it had fallen off a few times. Oh that this ring could keep you here longer. It is a mark of our commitment, it is my promise to love you with my…whole heart, and yet there is a love greater than mine that will take you soon. How could this mere piece of gold compare to the love of God which loves you completely, wholly, and perfectly? It cannot, so I will hold your hand a little while longer, I will keep putting this ring back on your finger. But when the time comes and he asks you for your hand, you can go. Go to that perfect love which makes all things new. Go and be whole again. For now, till death do we part. This is beautiful Melanie…thank you for this glimpse into some of her last days. I have been keeping up with all of Chris’s posts and updates and I always thought how nice her nails looked! My grandma suffered from dementia in her last few years and it was difficult to hold a conversation with her because she would become very confused. So the last year or two, I would always just go and paint her nails. I will never forget it…something so simple that can bring such joy. It is beautiful that you helped her feel as normal as possible to the end. Chris, the children and all of her close friends and family are in my unceasing prayers. It breaks my heart knowing the kids will not have their mom, but I know you and other friends will do whatever it takes to keep her memory alive with her kids. That was a beautiful post – what a great story and great blessing that you had in your life to meet Angela and have such a great relationship. Just beautiful! I’ll keep you and Angela and her family in my heart, and in my prayers in the days to come. I am so very sorry to heart of your loss Melanie. Please be assured that I will keep you and your family and the whole of Angela’s family in my prayers. God bless you for the good friend that you are and for all that you do. There are many forms of the works of Corporal Mercies — being a faithful and faith-filled friend as you accompany someone to the portal is one of these. It would take an awfully hardened heart not to be made tender by this very beautiful journal. From a distance, I join in with the mourners and prayer partners, and look to your reunion in a better time and place. I’m one of those women who prayed from afar and followed on Facebook. I was in awe of Chris’ post about Marriage and that wonderful picture of them holding hands. One of the very first things I noticed was Angela’s hip pink nail polish in that photo. I’m so happy to know the back story behind the loving friend who painted her nails. Thank you. Thank you for your post. It was so touching. I have progressive MS and her testimony gives me strength and all your faith is a light to the world. I pray for God Bless you and bring you ever nearer in this difficult time. Thank you for sharing your story and words about Angela. I have been following her struggle on Facebook for sometime. I also vividly remember your struggle when Ella was born and have prayed for all of you. Angela has been an inspiration to me. I was diagnosed with stage 3 Sarcoma and have been battling (and winning) so far with many rounds of chemo, radiation and several surgeries, my battle with cancer. I am a strong catholic and faith has gotten me through this trial. Seeing what Angela has gone through and how her faith and trust in Jesus never wavered, gives me strength to continue to “fight the fight.” Again, thank you for sharing. May God bless you with the graces you will need for the difficult days ahead. Peace and love, Stacey. Have been praying for Angela since discovering her facebook page a month ago. Everyday, I prayed for her healing, reminding God how young her children are. I was so very sad Sat. morning to see that she had passed away. Still sad. I too have cancer, stage 4 lung. My children are in their twentys, but my 2 grandchildren are 3 and 3 months. It will be them, that will be so hard to leave when I reach the final stages. What a blessing you were to each other. God Bless. I just made the connection yesterday between you and Angela. I remember reading your blog months ago and you mentioning a very sick friend of yours who was a young mom. I felt so sad for you and she (Angela) at the time. I have been praying for Angela ever since learning about her via a link from the Miraculous Medal page on Facebook. I am very sorry for your loss. Moms like you and Angela are such good role models for me (although you both are so much younger than me). What a blessing that you two shared a friendship. What a beautiful story and tribute to your friend Angela. I have been following her story for the last month or so. I was so hoping that her children would have strong motherly women in their lives and your commitment (as well as her other friends) to be there for them is very reassuring. It seems that their father is clearly an excellent man and great dad but it is nice to hear that they will have women to mother them also. God Bless you and your family, and may you feel God’s consolation in your grief. Thank you for sharing with all of us, love to you….M.